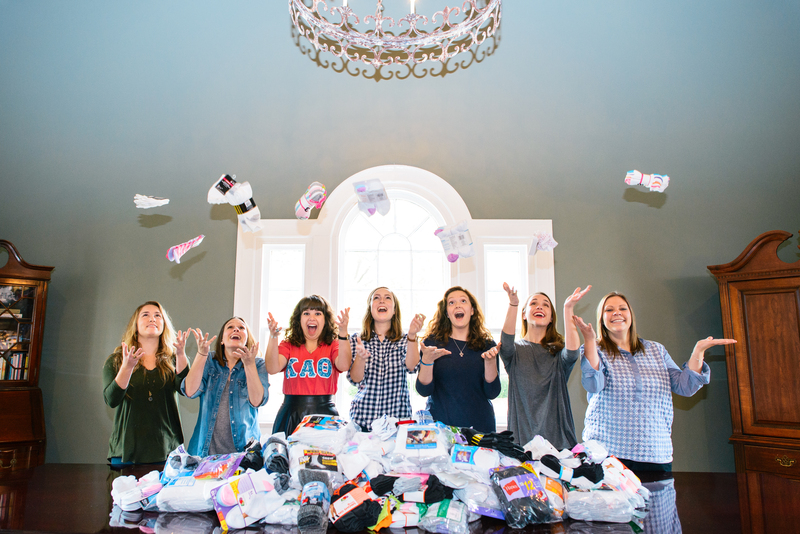 Belmont’s Alumni Association recently participated in Socktober, an initiative created by Kid President and SoulPancake to provide socks for the estimated 600,000 people living on the streets each night in the U.S. Throughout the month of October, the Association and Belmont’s Ambassadors collected more than 780 pairs of socks, far surpassing their initial goal of 125 pairs. The Socktober campaign asks participating groups to select an organization or shelter in their city to support community members who are experiencing homelessness. All collected socks from this year’s drive will be donated to the Nashville Rescue Mission.